Caption slip reads: "Photographer: Lapp. Date: 1960-02-11. Reporter: Henley. Assignment: Crippled radio 'ham'. 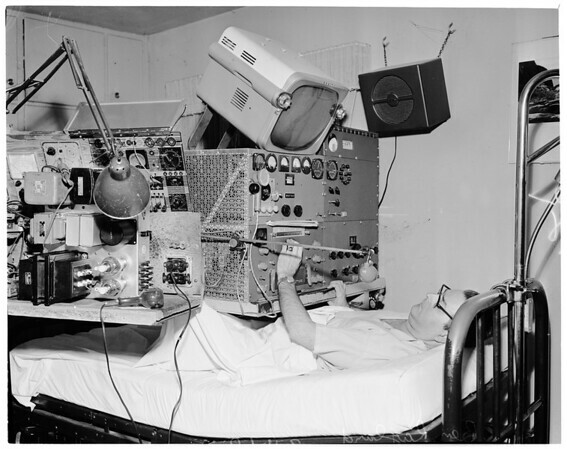 Ben Ragland, crippled radio 'ham' operator, in his bed surrounded by radio transmitters, receivers, etc."